Melton M. Caison, affectionately known by everyone as "Caison," joined the firm in 1963 after working for a funeral home in Fayetteville. A native of Sampson County, Caison attended the Cincinnati College of Mortuary Science in Cincinnati, Ohio after graduating high school. In 1974, Caison purchased part of the business from Mr. Benjamin Carlisle. Their partnership proved to be successful, eventually resulting in the need for a larger facility. In 1979, the current location of Carlisle Funeral Home was constructed, having been designed by Caison himself. The new facility ushered in a new era of efficiency for the funeral home, thus affording the families of Tarboro and Edgecombe County superior comfort and convenience. Caison and his wife Jane reside in Tarboro. He has two children, Mel and Wendy, and five grandchildren. Dedicated to community service, Caison is an active member of the Rotary Club. He and his wife Jane are members of First Baptist Church in Tarboro. Tommy joined the firm in May of 1975. A native of Tarboro, Tommy graduated from Tarboro High School in 1971. After serving in the U.S. Marine Corp from 1971-75, he pursued his career in funeral service. He graduated from Gupton-Jones College of Mortuary Science of Atlanta in September of 1977. In December of 2013 he became a partner in the business, thus furthering the standard of excellence established by the Carlisle family. Tommy and his wife Donna reside in Tarboro and have two children, Wendi and Travis, and two grandsons, Caleb and Wyatt. In his spare time, Tommy can be found enjoying the company of his family and pets. Melton M. Caison, Jr., affectionately known as “Mel,” rejoined the funeral home in August of 2016. Mel was born and raised in Tarboro. The son of Melton M. Caison (Sr.), Mel followed in his father’s footsteps in the funeral service profession, having grown up in the funeral business under the guidance of his father. He graduated from Tarboro-Edgecombe Academy in 1983 and went on to The Gupton-Jones College of Mortuary Science in Atlanta, Georgia, graduating in 1986. Mel and his wife Ginger reside in Nashville with their dog, Casey Caison. In his spare time, Mel can be found enjoying outdoor activities and water sports. 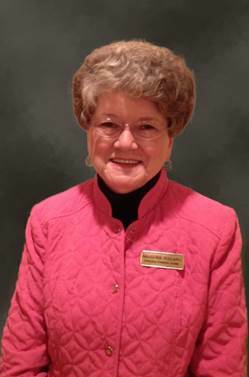 Susan joined the Carlisle Funeral Home family in 2012, serving in the position as Office Manager. Born and raised in Tarboro, Susan graduated from Tarboro High School in 1988. She received her Associates of Applied Science in Accounting from Edgecombe Community College. Susan and her husband Phil reside in the Speed area, and have two daughters, Nikki and Paige, and two grandsons, Cayden and Jaxson. Her most cherished hobby is spending time with her family and friends. Margie brought her warm smile to Carlisle in the spring of 2008. Margie is known around town by her service in the beauty industry, in which she remains actively involved as a licensed cosmetologist. Her nurturing character and loving care brings a sense of comfort to our families during evening visitations. Margie lives in Tarboro, where she is an active member of Penders Chapel Missionary Baptist Church, and has one son. Spencer began his employment at Carlisle around the year 2000. Spencer is a Tarboro native who returned to his hometown in 1969 with his late wife Mary Ann and their two children. Spencer’s leadership and thoroughness stems from his managerial position at the Tarboro Plant of Burlington Industries, from which he retired in 1992. Spencer also serves as Assistant District Commissioner with the Tar River District of Boy Scouts. Spencer is also a Mason and a Shriner. He has three grandchildren. Charles began his employment at Carlisle following a respectful career with Carolina Telephone Company. His comedic nature, combined with his professionalism, bring about a friendly and relaxed atmosphere around the funeral home whenever needed. He and his wife Yvonne reside in the Battleboro area and are members of William & Mary Hart Presbyterian Church in Leggett. They have two children and two grandchildren. Max joined the staff at Carlisle in 2010. Born and raised in Edgecombe County, Max is well known in the local agricultural sector after retiring from AgCarolina Farm Credit. He and his wife Gwen reside in the Macclesfield community. They have two children and six grandchildren and are active members of First Free Will Baptist Church in Tarboro. Richard joined the Carlisle Funeral Home staff in January of 2017 after retiring from Nationwide Mutual Insurance Company. Richard resides in the Pinetops area with his wife Debra. He has one daughter Crystal, and a grandson, Braydon. Richard is an active member of Webb's Baptist Church in Macclesfield. He enjoys hunting, fishing and family time. Richard brings a compassionate and friendly smile and we are glad to have him as part of our team. Bill began his part-time assistance with the firm in the early 1990s following his career in emergency fire and medical services. Bill can be found at the funeral home on weekend services and every Saturday from 9 to 12. His friendly and outgoing personality is always ready to lend an ear to anyone in need of a friend. Bill is a member of First Pentecostal Holiness Church of Tarboro. Bobby joined the firm around the year 2000. His role as Maintenance Director is vital in ensuring that equipment is in superior condition for daily operations at the funeral home. Bobby enjoys time spent at local mechanic shops and tool sales. He and his fiancée Mae reside in Tarboro.